Looking for movie tickets? 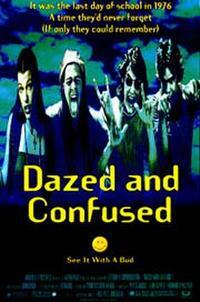 Enter your location to see which movie theaters are playing Dazed and Confused near you. Teens waste another day of school before getting down to wasting summer in 1976 Austin, Texas. Edgy coming-of-age tale has underage drinking and drug use.